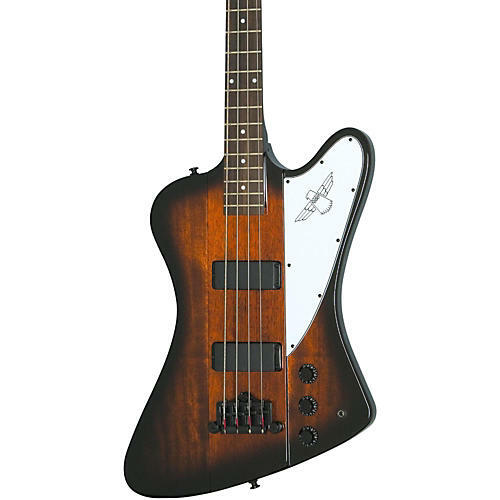 The Epiphone Thunderbird IV Bass has a classic shape and a great sound. This streamlined design is based on Gibson's original model. 2 humbucking pickups. Volume and tone controls. Alder body, maple neck, rosewood fingerboard. Limited lifetime warranty.